You guys know that I use this monthly segment to exercise my ninja-like super deal skills? Well, this month I got a little extra help from a fellow shopper. I was in line with my little hand basket of awesomeness (90% of which was already on sale), and the lady in front of me give the cashier an extra coupon for $4 off any Almay product to share with the next shopper, which just happened to be yours truly. So, a big thank you to the mystery coupon lady, because of her generosity I was able to pick up an extra item to try out this month. Almay Intense I-Color Volumizing Mascara – The first time I used this it was solidly “okay”. The navy color was subtle, the brush was a little…antiquated, but the product went on easily and evenly coated my lashes. It wore well, no flaking or running, but I was surprised how little there was actually left on my lashes when I cleaned my eye make up off at the end of the day. Definitely would need to reapply if you were going out for the evening. The second and third time I used the mascara I had major application issues. The mascara went on clumpy, and it took forever to dry. The last time it was so bad I just wiped it off and with my normal mascara. Will not be using this stuff again. Almay Intense I-Color Defining Eyeliner – This was my favorite product this month. Big surprise, right? I love both glitter and eyeliner, and this product married the two beautifully. The liner went on smoothly and lasted ALL day. There was a little bit of glitter fallout, but that is to be expected with any glitter enhanced product, so it didn’t bother me. I will absolutely be picking this up in the other three colors. 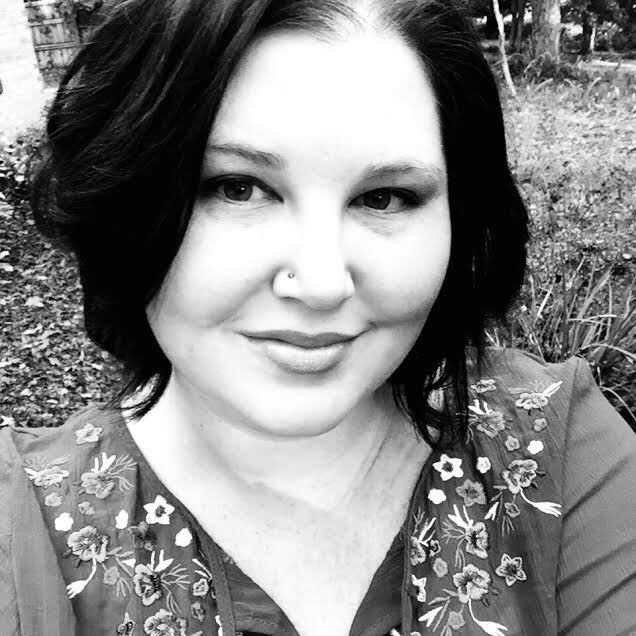 Almay Smart Shade Lipbutter – The shade I picked (berry medium) is a little darker than I normally wear, so the first time I wore it I was a little obsessive about checking to make sure that it didn’t wear off. It wore pretty much like every other lipstick in my make up bag. The texture was light and creamy without being sticky or goopy, and it smelled incredible, and it only wore off when I ate or drank something. Not amazing, but nice enough that I will keep using it. Sally Hansen Complete Salon Manicure in “Pat on the Black” – I actually tried this polish last month, and I was completely blown away. I wanted to make sure it wasn’t just the one color the held up so well, so I chose something completely on the opposite send of the spectrum. Instead of light, we went as dark as I could go (a deep black cherry), and instead of pearlized, a flat gloss. Still amazing, still lasted a whole week. I now have two other colors, and I picked up a third for my mom. Miss Spa Hydrate Hand Treatment – Since my mom was in town, I totally used her as a guinea pig. After trying the cuticle treatment last month, I knew I wouldn’t be able to sit still with gloves on for a whole half an hour, but my mother is far more patient than I am. Plus, I was sick, and she didn’t want to tell me no. After the treatment, her hands were noticeably more soft and hydrated, and they stayed that way through multiple hand washings and doing the dishes. Summation, if you can sit still and let the gloves to their thing, these gloves offer big bang for your buck. Revlon Super Lustrous Lipcolor – Nothing life changing, but a solid okay. Coverage was good, and there wasn’t any strange taste or texture. I had to reapply after eating, but I usually do that anyway. I picked up Smokey Rose (a mauve-ish natural pink) and Rose Dew (peach-y pink), both colors I could wear at the office and throw on without having to worry about lip liner. They both now reside in my desk as my part of my back up stash. I’ll use the tubes I purchased, but I don’t think I’ll buy a second round where they’re gone. Paladio Retractable Waterproof Eye Liner – This product was a really pleasant surprise. I am a bit of an eyeliner snob; usually for pencil or twist up liners I only use the Urban Decay 27/7 liner. I’ve been looking for a good drug store alternative, and I’d heard good things about the Paladio brand, so I picked up Exotic Plumb on my last trip to Ulta. LOVE! While the formula isn’t as smooth as Urban Decay, it’s the closest thing I’ve ever come across. The twist up applicator is easy to use, and with a little extra time spent on building your line, you have something that looks nice and will last all day. Bonus: it costs less than a third of what I shell out for my Urban Decay liner. I’ve already picked up a second color (Eggplant). 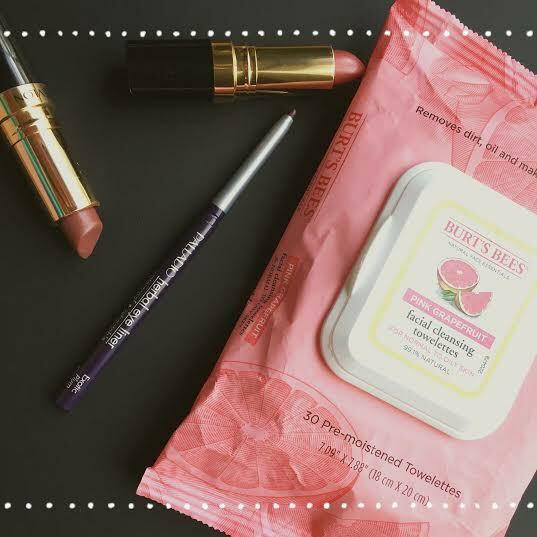 Burt’s Bees Pink Grapefruit Towelettes – Probably one of the best face products I’ve ever tried. Drug store, prestige brand, special order, anything, it beats them all. The slight grapefruit-y scent is pleasant without being overpowering and fades away in an hour or so. The towelettes are durable and even on a heavy make up day I never needed more than one to get my face clean. I now use these every night to wash my face before I go to bed, which is sort of a big deal, because my skin can be a bit temperamental, and I usually have to alternate products every few days to avoid dryness or redness. This is also the first “no water needed” product that I haven’t felt like a needed to rinse my face after using. My face feels clean and lightly moisturized, and there is no soapy or oily residue left behind. Best beauty purchase EVER. Sweet Ease Leg Waxing Kit – Right up front I am going to say I don’t know if I correctly used this product. The instructions were very minimal: rub strip between hands to warm, peel apart, stick on leg, and rip off. They actually had more illustrations on how to not use the strips then they did on how to use them. I tried warming the strips using my hands like the package suggested, but it barely made the wax warm enough to pull apart, let alone rip my hair off my legs. The best technique I came up with was sticking the strips in the back of my waist band and letting the heat from my back/the couch warm them up. Once I finally managed to apply the strips I had the worst time getting it to pull the hair off. I ended up applying the strip rubbing my hand over it a few times to warm it back up, then ripping off. That actually took about 2/3 of the hair off. 13 strips out of the 20 pack later I decided I was better off shaving my legs and threw the rest of the kit in the trash. Contact Lens Case Case – I found this at Target in the stocking stuffers area and thought it would be good for traveling. I have the worst luck with my contact lens cases not sealing all the way, and I thought this would keep the inside of my suitcase/purse from being unintentionally wetted. It worked. It also had the added benefit of keeping my lens case safe from Oliver. He thinks the clattering sound it makes when it hits the floor is the best things ever, and it makes an excellent kitty toy once it’s down there. The bulky hard case isn’t nearly as much fun: he pawed at it, sniffed indignantly and decided he didn’t want to play on the counter anymore. Revlon Color Burst Lip Butter in Juicy Papaya – This was such a pleasant surprise; I am a little snobby when it comes to drug-store lip color, but I really like this product. I’m not going to say it’s as good as MAC or some of the other higher end brands I’ve tried, but it’s actually pretty close. Now, this isn’t going to be your thing if you are looking for a hyper pigmented lipstick, but it’s perfect if you’re looking for a sheer wash of color with a little sparkle. Heck, with the shade I picked, I didn’t even have to bother with a mirror when I put it on. Body Shop Sink-In Moisture Mask – I’ve tried Body Shop masks before and I like them a lot, but this was horrible. The strong perfume smell came rushing out the minute I opened the pack, which was a little off putting, but not a deal breaker. I applied the cream to my face, carefully avoiding my eyes and lips as recommended, and set the timer for 10 minutes. After three, my face was tingling, but I waited it out the full ten and then wiped it off. After an additional five, I was in the shower scrubbing my face and neck because it BURNED! I was lucky, and aside from being a little pink and tender, my face was okay, but NEVER AGAIN!!! Body Shop Seaweed Ionic Clay Mask – After the previous experience, I decided I wasn’t going to try any more of these masks for a while. After fudging the budget a little on last month’s products, I strictly held myself to the $20 limit. It was a little difficult since I didn’t buy everything in the same place at the same time, but I managed. So here we go. 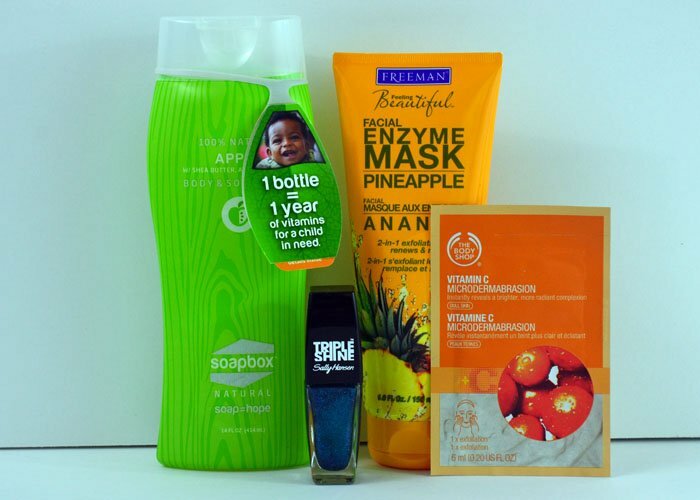 Soap Box Apple Body Wash -I got to try their “Black Soap” body wash in my Vegan Beauty Box. It was a little too strongly scented for me, but the idea of one bottle providing vitamins for a child for a year made me willing to give it another go. Fortunately, my local Earth Fare stocks several different scents so I decided to try the apple. It’s a great body wash, nice lather, leaves my skin soft and free from residue. The apple scent was a lot better than the black soap, still not really my thing, but I’d buy it again. For the children. Sally Hansen T ripple Shine Nail Polish – I was really disappointed in this polish. Sally Hansen is a pretty solid brand, one that I used for years before I could afford to invest a little more in my cosmetics. The coverage was inconsistent, and even worse, it never fully dried. The first time I tried it I thought maybe I put on too many coats trying to even the coverage out, so I tried again a few days later with only two thin coats, and an hour and a half later it still wasn’t dry. Fail. Body Shop Vitamin C Microdermabrasion Face Scrub – my Friend Jenn is a HUGE fan of Body Shop beauty products and she has been encouraging me to try them for a while now. For me, the biggest draw back was the price; I don’t mind spending $5 or maybe even $10 on something I may only use a couple of times, but $20+ was more than I was willing to invest on something I might not like. I was in Ulta a few weeks ago, and they had a bunch of Body Shop samples by the register for the low low price of $2.50 each, so I decided to give it a go and grabbed a face scrub. I LOVE IT SO MUCH! While my skin is usually really smooth, I will occasionally get bumpy dry patches. This scrub lessened the irritation, got rid of the dead skin, and left my skin feeling hydrated. Bonus, I got three uses out of a single packet. I went back for a full size, but they were out, so I grabbed the last two sample packs to hold me over until they restock. Freeman Facial Enzyme Pineapple Mask – this was a cheating a little bit; I already knew I was a fan of this mask. My friend Stefanie and I used this for spa nights while we were in college, and I loved it then. But it’s been a few years and the formula or my skin could have changed right? Fortunately, neither has; the smell is fruity and wonderful, it doesn’t drip, and it leaves your skin feeling so very, very soft. Some really good stuff and some not so good, but all in all not a bad month product-wise. So, this month’s $20 a Month was actually $27.95, but there was a ton of stuff plus a makeup bag, i’m a sucker for sample sizes and storage bags/containers. 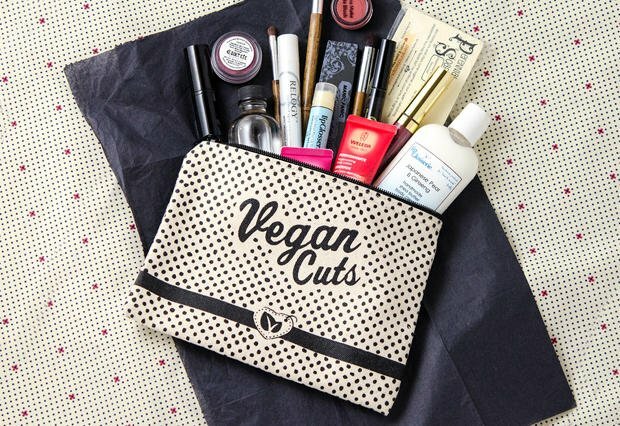 This month I got the Vegan Beauty Essentials Kit. You don’t have to be vegan to enjoy this, I’m not, but I also feel since I use things like soap/lotion/make-up everyday, why not use something that I can feel good about using. I’ve been told that every little bit helps. Death by Lavender All Natural Deodorant – effective, but when they say “death by lavender” they mean death by lavender. I like floral scents as much as the next girl, but DAMN. Rainbow Honey in Persephone – the color is a very sweet girly candy pink with glitter, which is not really something i’ll really wear a lot, but the coverage and wear is up there with some of the most expensive brands I’ve tried. Two quick coats, no base coast or top coast and my nails were only slightly chipped at the end of a week. I’d be interested in trying out some of their less cutesy colors. Pacifica Coconut Kiss Creamy Lip Butter in Lava – the lip butter went on smoothly and had a finish that was creamy instead of glossy or sticky. The smell was softly sweet and vaguely coconut-y (not a big surprise given the name), not much of a flavor, which was fine. The color wasn’t the best for me. Since I am really really pale the orangy-red kind of washed me our and clashed with my red hair, plus the color bled just a little. I will probably try out a different color. Earth’s Enrichments Lemon Fresh Shea – My favorite product in the bag. It smelled like a lemon lollipop and while it didn’t have a lot of lather, it moisturized AND exfoliated. My skin was so happy. I will be getting a full sized bar. Lotus Moon Hydrating Gel – This stuff is great, I used it on my face for two weeks and my skin looked a-mazing! It moisturizes without leaving any residue and your face never feels oily. The only time I had any issues was when I coupled this with my tinted BB cream since it also has a moisturizing element, it was a little to much of a good things. So I switched to using it with my tinted powder instead and everything was fine. The only things I didn’t care for was the strong herb-y smell, you get used to it, but it definitely lingers all day. Concrete Minerals Eyeshadow – This is exactly like the Bare Minerals eyeshadow I was obsessed with a couple of years ago. The best part of the mineral shadow is you can control how dark you want it, the color goes on sheer and you can and additional layers until you get the desired shade. Bonus, these layers don’t get cake-y or crease. I still think I am a pressed shadow girl, but if go back to the loose powder I’ll definitely use this brand. Weleda Citrus Hydrating Body Lotion – a FANTASTIC lotion. It hydrates like the name says, without leaving residue. I hate when I go to wash my hands hours after putting lotion on and they feel slimy because the lotion hasn’t really absorbed into the skin. I’ll say it again, this leaves no residue! And it smells like freshly squeezed limes and lemons. I took the sample to work with me and let one of my coworkers try it, she loved it as much as I did. Molly Rose Pickles & Ice Cream Lip Balm – it really was pickles & ice cream…I….yeah….it wasn’t for me. Aubrey NuStyle Organic Detangler & Shine Booster – I couldn’t use this one myself, my hair is short and baby fine; most days I don’t even use a conditioner. Something like this would leave my hair feeling and looking oily by the end of the end of the day. So instead I sent it home with one of my co-workers. She has been using it on her daughters hair and they both agree that it works really well. Better in fact, then some of the more expensive salon detanglers they’ve tried. The only issue they had was that it smelled “odd”, but not enough to stop using it. -There was also a sunscreen and a body tonic that I haven’t tried yet. A lot of stuff right? The items in the essentials kit are randomly selected so you may not end up with everything I had, but it’s kind of exciting to not know exactly what’s waiting for you when you open that brown box. If you try out your own kit, leave a comment to let me know what your favorite product was.